In today’s world yoga has become a lifestyle statement as more and more people are using it for its health and emotional benefits. Adults may have entered into an agreement to do yoga as a part of their life, but most of them are still unable to understand the importance of Yoga for their children. 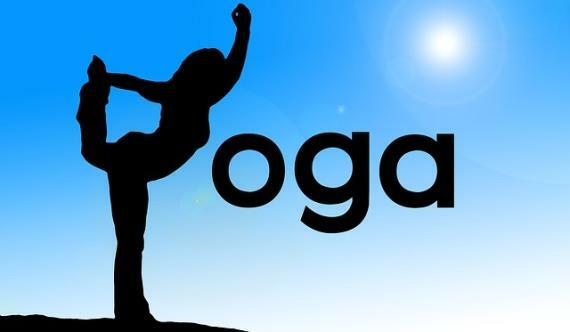 Yoga helps adults in reducing stress, enhancing physical strength and building a connection between mind and body, it can also benefit children in dealing with the ever growing competitive world. Even if your child can easily handle his school and competitive environment, then also Yoga can prove to be an effective physical activity to keep them fit. Yoga being the only sport that doesn’t induce competition, it can really help kids in developing their well-being with easy pose like sun salutations and dog pose in the school itself or at any Yoga center. Although the yoga for kids and adults can be quite different, but the basics still remain the same. Whether it is used for adult or for the kid, it still emphasizes on the mind body connection. The main difference is the creativity and playfulness that are involved in the Yoga taught to the children. Is it important for kids to learn Yoga? When kids are asked to imitate the instructor while performing Yoga poses enhances their learning ability and teaches them to control and channelize their energy and hence focus better on other things. Moreover the kids in today’s world are experiencing a lot of pressure in school and society and Yoga helps in relaxing them. Numerous researches and studies have shown that yoga can successfully calm children, helps in reduction of obesity, enhances concentration, and helps in maintaining health conditions and getting relief from irritating bowel syndrome and headache. Yoga also helps children with eating disorder by lowering their preoccupation with food and also helps them in relieving from various physical and mental disorders. If your child is interested in taking yoga lessons, try looking for a program or session from an experienced instructor who has been training yoga for kids. Verify the instructor’s experience in handling the children of your child’s age. Also have a look at the goal and other details of the class before enrolling your child. Review the activities and make sure that you are comfortable with the activities involved in the class, size of the class and the environment. Make sure to contact and explain instructor all the details if your child is suffering from any kind of medical condition and ask him/her about the way in which he/she will be dealing with your child. A typical yoga session for children, mainly starts with gentle warm up routine and breathing exercises. Most of the postures that are taught to children involves gentle, non-exhaustive movements like stretching, sitting, standing, twisting, balancing, bending, etc. during each pose the child may be asked to breath in and out in the rhythm according to the activities performed. After completing a series of postures the child may be asked to lie down on the yoga mat on his back and relax, he can visualize some relaxing experience such as flying, floating in the sky, moving through the cloud, etc. as the session proceeds towards the end the child may be asked to perform re-awakening process to get up from the floor. Some of the Yoga like Ashtanga and Bikram yoga are not recommended for children. There are some safety aspects that also need to be followed strictly, to avoid any injuries or trouble. The foremost requirement is finding a safe place to perform yoga. The place should have a level ground and the temperature of the room should be at a comfortable level. Use of yoga mat will help in reducing slippage. Yoga should be practiced with empty stomach. There are certain poses that puts pressure on the stomach and cause your kid to vomit if they have a full stomach. To remain on the safe side, do not allow your child to go to their yoga class after having a meal. Wait for about 2 to 4 hours in case of large meals and about an hour in case of light meal or a little snack. Make sure that the child doesn’t over perform the postures. They should be constantly told to avoid putting pressure and keep their movement slow and steady. The poses that involves activities such as raising the leg or extending their leg above the heart or the head or inverted poses that induces pressure on the head and neck should be carried out with extreme care and should not be forced. If a child suffering from any medical condition puts up extra pressure on the head or neck, he could injure himself or complicate his medical situation. If your child is sick do not allow him to perform yoga. After the realization of the huge influence of yoga and the advantage of it in overall growth and development of children, it is the time when yoga needs to be added as a part of the school curriculum. Many schools have already taken the initiative and others will follow the steps soon.